Well, I knew that lemon is the best cure for almost everything (!) that goes wrong with my health, but I didn’t know that it’s good for my hair, too. Lemon can make my hair look healthier and more shiny in the most natural way. So I gathered some smart tips that we girls need to follow to make it shine! This is my favorite and is exactly what I need for my hair! If you want to highlight your hair, first wash it, dry it and then apply some fresh squeezed lemon juice on the sections you want. Brush your hair and then enjoy the sun. Yes, expose your hair to the sun until lemon juice is dried and then wash it off with warm water. So easy! If you want your hair to shine and shimmer like never before, then try this one: pour fresh lemon juice in a cup of water and rinse your hair with it. Extra tip: you can mix your conditioner with lemon juice, apply it on your hair and leave it for a minute or two. Then rinse thoroughly and get ready to shine! OK, this is the one that everyone worries about, hair growing. You can massage your hair using lemon juice mixed with coconut oil or olive oil if you want your hair to grow faster. This also works for hair loss because vitamin C strengthens your roots. Exciting, right? Here is a recipe that can help you get rid of it: 1 ts fresh lemon juice, 3 ts water, 1 ts vinegar and ¼ ts salt. Mix all the ingredients and apply them to your scalp for 15 minutes. Rinse with warm water and then wash your hair with your shampoo as always. If you do this regularly for three or four months you will see the difference. This is for me, I have an oily scalp and it’s awful. Mix fresh lemon juice with vinegar, in equal amounts, and apply it on your scalp. 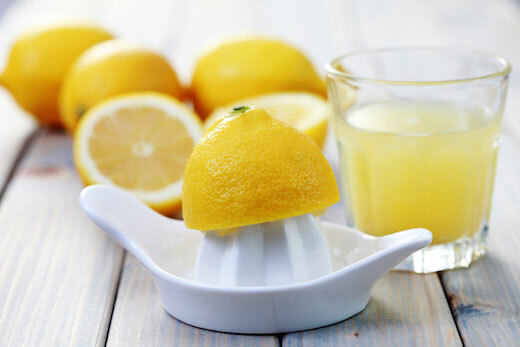 Lemon juice contains citric acid that helps remove the excess oil and dead cells from your scalp. Hallelujah! You want to get rid of lice? No problem! Mix lemon juice with garlic or almond paste and say goodbye to lice! These tips are great, really! They are great because they’re natural! But careful, don’t overdo it with the lemon juice. Remember to set limits.